If I had to pick my favorite exfoliator of all time? 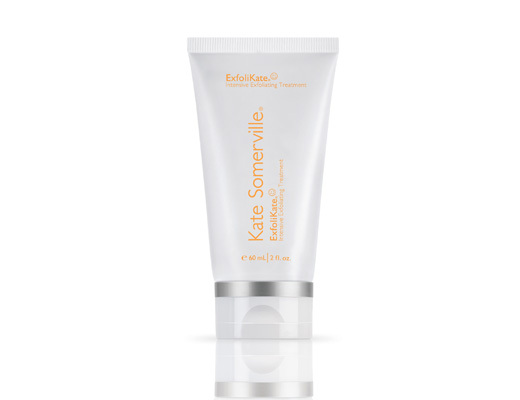 It's definitely Kate Somerville ExfoliKate. I've actually waxed poetic on the subject already (click here for my in-depth review) ... so I'll just go ahead and tell you that I'm super excited to offer one lucky winner the chance to experience it for themselves! This giveaway has a retail value of $85! To enter for a chance to win, place your name and email address in the box below. The winner will be selected on Tuesday, August 24 and notified by email. This giveaway is open to US residents only. Giveaway runs until Monday, August 23 at midnight. One entry per person, email address and IP address. Multiple entries will be disqualified.